March 21 is the day my parents got married, back in 1963. They were married 46 years, until Mom passed away and they were each other's best friend to the very end. That sounds a bit trite, but it's true. 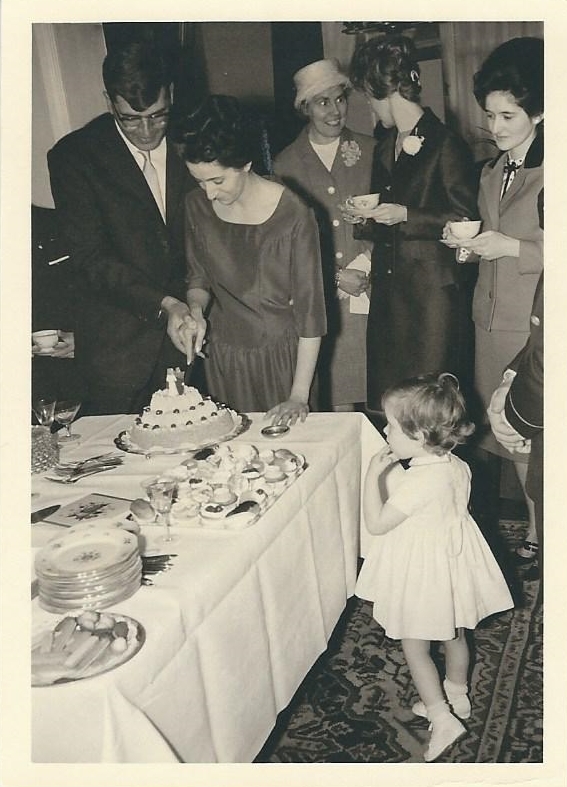 Mom and Dad at a reception in honor of their marriage, Belgium, March 1963. Once, a few years before she passed away, Mom and Dad went on a date to an expensive restaurant to celebrate their wedding anniversary. The way they both told it, they had a lovely, but hardly unusual, time. Nothing really special or romantic or extraordinary – to them, anyway. When they asked for the bill, the waitress told them it already had been paid. A much younger couple sitting at a table nearby had been so charmed by them, that before leaving, they'd paid my parent's bill as well their own. They'd left them a note, too, that said that, being fairly newlywed, they were sometimes afraid of growing old together because, so often, they'd see older couples sitting at tables together in silence, barely looking at one another, as if they had nothing left to say to each other. But seeing my parents, so obviously still in love, and so deeply in conversation over their meal, enjoying each other's company, had given them such hope for the future. Mom said that note was one of the best anniversary presents they ever got – and it came from total strangers! Whoever that mystery couple is, I wish them a long and happy journey, and a joyful growing old together. They certainly added to why I've come to think of March 21 as one of the most romantic days on my calendar. And by the way, I discovered only today that March 21 is also National Common Courtesy Day. Mom was such a stickler for politeness, she'd have loved that! So in her honor, give up a seat on the bus, hold a door open for a stranger, or simply greet someone with a smile today. 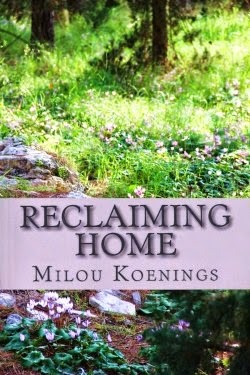 You can find her on her website, www.miloukoenings.com, on Twitter, Facebook, Pinterest, or Instagram. Thank you for sharing the photo and your parents' lovely story, Milou! Milou, that is such a touching story. Thanks for the reminder of Common Courtesy Day. Lovely post, Milou, and an excellent reminder. Common Courtesy Day should be every day! I agree - wouldn't it be nice if it were every day!